BEST LOCATION IN CELEBRATION! Charlotte Floor Plan home, in the desirable South Village. 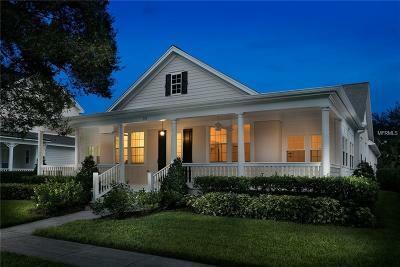 Enjoy your evenings relaxing on the front porch. 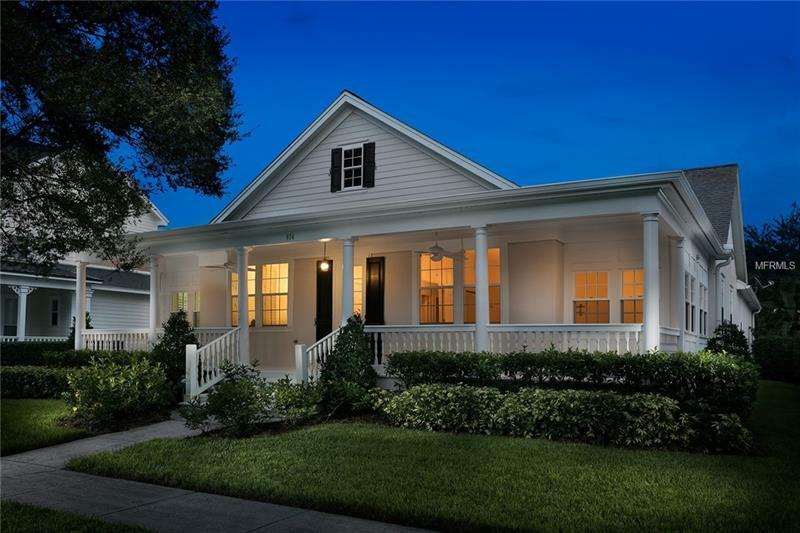 This 4 Bedroom / 4/1 Bathroom contemplates a gorgeous Hickory Hardwood floor and details in the upgrades such as crown moulding, Plantation Shutters and Tile Work. The Kitchen features Stainless Steal Appliances, the 42" wood cabinetry, complimented by the beautiful Carrara Italian Marble and Mosaic Tile. Not forgetting the amazing 24" Tile floor, which flows into the extended utility room. The breakfast bar will be a great asset to the kitchen area as the flow continues to the back porch and fenced in large yard, great for the entertainer in you. The Master has a walk in shower with 2 shower heads, Carrara Italian Marble and Mosaic tiles, with seamless glass. The Walk in closet, as well as sliding door closets, giving you plenty of storage. The theme continues with the other bedrooms and bathroom suites, Italian marble and Crema Marfil tiles. To the right of the foyer, there is an extended media/games room with surround system wiring installed. Additionally, enjoy a studio garage apartment and separate entrance for in laws or guests. The spacious side yard is fully fenced with a brick paver patio. A few steps from the wonderful Spring Park and Pool! DEFINETLY A MUST SEE. YOU WILL FALL IN LOVE!